Seeing the cherry tree blossoms around our nation’s capital has been on my bucket list for many years. You can imagine my excitement when our trip perfectly coincided with peak bloom. More than 3,000 trees were planted in 1912 around the Tidal Basin as gift from the then-mayor of Toyko. Many are still there, thriving year after year, thanks to the hard work of the National Park Service. 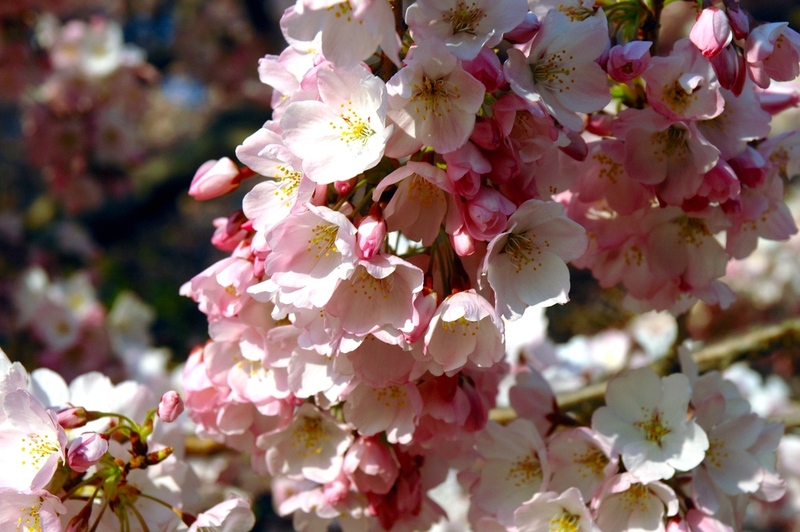 While it can be difficult to get to the blossoms during peak season (especially with young kids in tow), I guarantee that it will be worth the trip if you keep these 5 helpful tips in mind. If you’re not visiting the area with a local who knows the best parking spots, use the Metro, the public subway system. The traffic around the Tidal Basin is no joke, and it would be a shame to waste precious time (and a toddler’s attention span) sitting in traffic for hours. Despite the crowds, seeing the blossoms plus the monuments is a perfect pairing. KidTripster Tip: If you’re interested in a less-crowded spot, try visiting the U.S. National Arboretum to see the blossoms. While food trucks are plentiful by The Mall, they're overpriced. A picnic lunch is a much better option. Find a spot, throw down a blanket, and enjoy the sights and sounds of the area. Potbelly is a nearby sandwich shop that would be a good place to pick up a to-go lunch. Photo ops will abound. This is a beautiful place to capture some springtime photos of your little ones as they run through the cherry blossoms. Yes, there will most likely be a crowd anytime you visit, but there are definitely spots around the Tidal Basin where you can get shots with only blossoms in your background. Visit during the early morning or before dusk for the best lighting and to capture some truly stunning scenery. You can count on heavy traffic and crowds anytime you visit during peak bloom days. Once you accept that there will be crowds, you can plan your visit around your child's mood or nap schedule. If they do better first thing in the morning, head out early. Our younger kids were tucked into a double stroller, but our school-aged son was able to get around easily on his scooter. I was so glad that we brought it along! And so was our son, as he was able to keep up without much effort. You can rent bikes to get to the Tidal Basin, but it would be difficult for kids to navigate their bikes through the crowds. KidTripster Tip: Find a scooter that folds up for easier transportation. Our kids loved their time among the blossoms. I was concerned that the little ones might not be entertained, but they loved walking, smelling the flowers, and seeing the sights. Even with crowds, they had plenty of room to run and explore the area. To get a good idea of when you’ll be able to catch peak bloom and for more information on free ranger programs, visit the National Park Service’s Cherry Blossom Festival website. To learn more about other events, like the National Cherry Blossom Festival Parade and local tours, visit the National Cherry Blossom Festival website. The site also has a section just for kids with games, puzzles, and crafts. 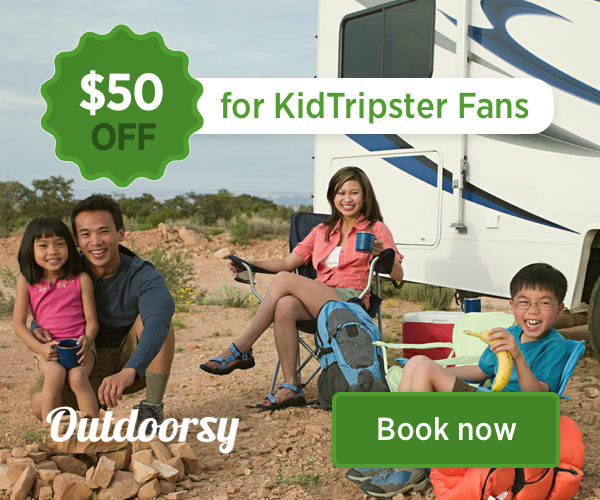 For KidTripster's top recommended things to do with your family in Washington, D.C., click here. Mitzi Cunningham resides in beautiful New England with her husband and three young children. She has lived on both coasts and a few places in between. She loves a good adventure and can usually be found at whatever parade or festival is currently taking place.